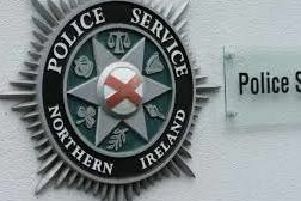 Detectives are appealing for information following a suspected arson attack at business premises on High Street, Antrim, on Monday, February 4. Substantial damage was caused to the interior of the Antrim Turkish Barbers premises following the incident which is believed to have occurred sometime between 7.30pm and 8pm on Monday evening. 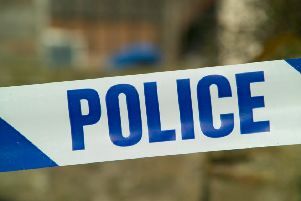 Detective Sergeant Lenaghan said: “We are treating this incident as deliberate and I would appeal for anyone who may have information which could assist our investigation or who noticed any suspicious activity in the area at the time to contact detectives at Antrim on 101 quoting 1282 04/02/19. South Antrim MP condemned the attack on a Turkish barbers’ shop. “Firstly, I am so glad to hear that no one was hurt in the fire on Monday evening. This arson attack is a heinous act, depriving the owners of Antrim Turkish Barbers of not only their investment but their livelihoods,” Mr Girvan said. He added: “Arson is not a controllable action, those who committed this crime had no way to preventing the fire spreading to other properties. “They not only showed contempt to Antrim Turkish Barbers, but also utter contempt for all the businesses on High Street. South Antrim DUP MLA Trevor Clarke added: “It’s always good to see new shops opening in Antrim town. However, it is devastating to hear after one who has invested so much, the actions of others have taken it away. “This could have had a major impact on adjoining retailers and therefore like any other right-minded person I appeal for anyone who seen anything, whether they believe it to be relevant or otherwise, to contact the PSNI.